This Northern Lights Cruise departs from Ægisgarður pier in the Old Harbour in downtown Reykjavik, where the ticket office of Elding Adventure at Sea is located. Good trip, free return as northern lights not showing first night. Unfortunately cloudy the next but we’ve free return voucher so an excuse to return to Reykjavík in next two years! 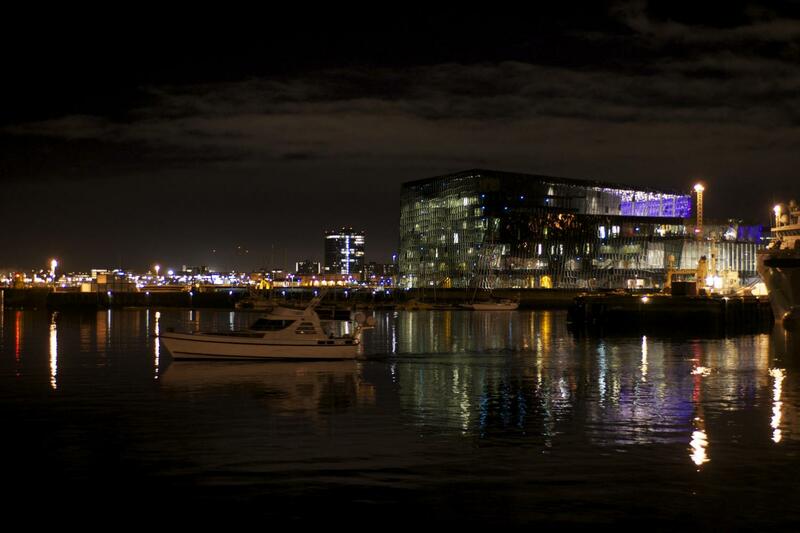 Interesting guide and good views of Reykjavik at night! Lovely boat, very clean and good facilities. The boat had a lovely warm inside area and provided outside full body suits for those wishing to be outside. Guide very informative and very optimistic about seeing the northern lights. We only got a very small glimpse of the lights which can’t be helped or controlled but the boat facilities were excellent. We saw the northern lights so very happy with our cruise. The trip was longer than advertised as we stayed out longer seeing the lights. Great! Watching the lights constantly change in intensity, colour and movement in the vast starry space with the gentle lull of the ocean beneath is a thrilling, unique experience. This Northern Lights Cruise takes you out sailing from Reykjavik's Old Harbour, where you'll get a chance to take in the magical Aurora display in the dark blue yonder of Faxaflói bay. A guide will meet you in the Whale Watching Centre, which is facilitated on board an old fishing vessel permanently placed by the pier. 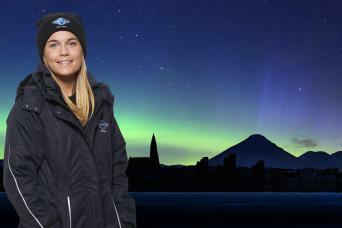 At night it takes on a magical form with a multimedia northern lights show. The 10 minute show includes images, time-lapse footage of the lights while explaining the science behind the northern lights. Our expert guide will be at hand to answer your questions while you enjoy Mother Nature’s light show and starry skies wrapped up in one of our warm overalls. * This Northern Lights Cruise tour is operated by our partner "Elding Reykjavik Whale Watching" that picks you up from your hotel, guest house or at a designated bus stop and takes you directly on the tour. * Pick up from hotels, guesthouses and designated bus stops starts 45 minutes before the tour departure time stated on your voucher. * To help ensuring the quickest possible collection we kindly ask you to stand by for pick up in front of your hotel, guest house or at your designated bus stop when pick up starts. Boarding the Elding pick-up coach please present a printed copy of your electronic voucher / ticket to the driver.